T he DDTCC comprises of more than 100 members, stretching across this vast land. Most of our members reside in the most populous province of Ontario, because there are no member breeders in any other province. We produce an annual magazine named "Toplines", and regular newsletters. We are proud of the fact that our club is congenial and united in purpose, and that we are not only members but friends. 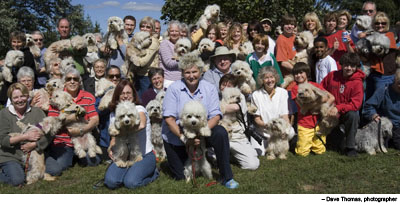 In fact, the finest compliment probably ever paid to the Dandie Dinmont Terrier Club of Canada was by an observer who had watched our club Specialties over several years. 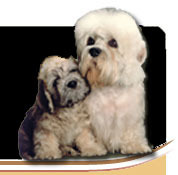 "The Dandie Club isn't a dog club", he commented. "You are a family"